Hey there, happy Saturday. I’m feeling a little woozy. For some reason Friday nights usually seem to have that effect on me. I had some ambitious plans for today’s posts, but unless I can figure out how to vacuum all the woozy out of my head, what you’re reading now may be all I can manage. These are just a few of the things I spotted over the last two days that didn’t make it into that big slug of round-up posts yesterday. San Francisco’s Vastum have completed work on a new album, featuring cover art by the Vastum vocalist Daniel Butler. I can already feel the ground beginning to tremble in anticipation of the detonation to come. The album’s name is Hole Below, and 20 Buck Spin plans to nuke the planet from space with it on November 6, because that’s the only way to be sure. We don’t yet have music to share from the new one, but as soon as something emerges, we’ll be featuring it on our putrid site. Count on that. If you don’t know about Vastum, be sure to check out their first two albums, Patricidal Lust (2013) and Carnal Law (2011). I’ll make it easy for you (pre-orders for the new one are available at either of the first two links below). 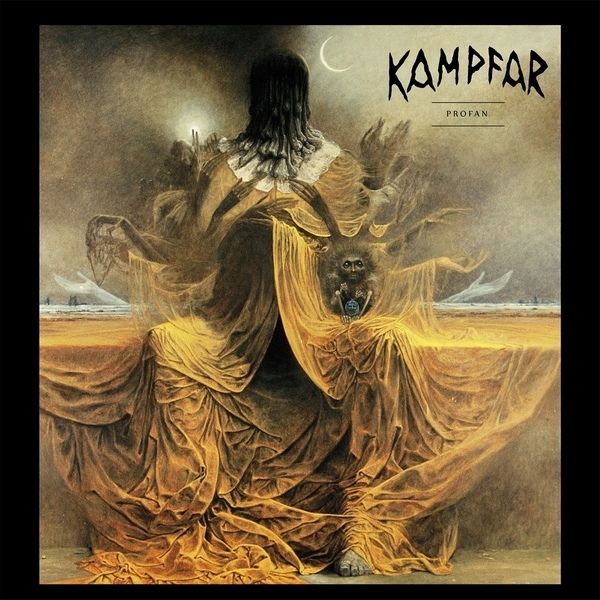 Yesterday I also saw the announcement that Norway’s Kampfar have a new album on the way. Entitled Profan, it again features a painting by the masterful Zdzisław Beksiński as its cover art and it will be released by Indie Recordings on November 13 (you can pre-order it here). Kampfar have been an NCS favorite for a long time, and this news makes us very happy. Once again, we don’t yet have any music streams from the album to share, but we will as soon as something becomes available. In the meantime, have a listen to the band’s last album, Djevelmakt. At last we come to a new album from which I have some music to share. 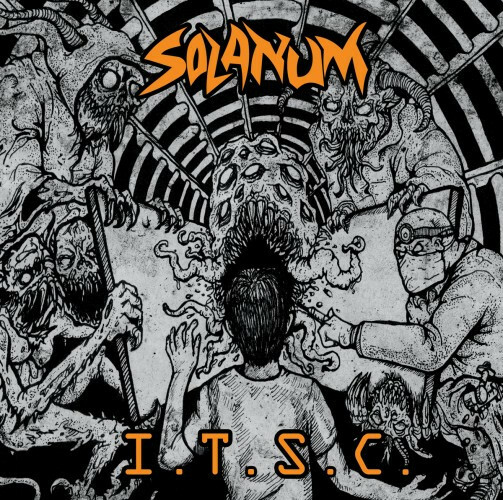 Solanum is the name of the band and they make their home in Winnipeg, Canada. Into the Sinner Circle is the name of the album and it’s coming on October 2 from Horror Pain Gore Death Productions. You can listen to one track from the album on YouTube or Bandcamp. “P.T.S.D.” is a galvanizing, thrashing romp. The riffs are golden, and they dig in right from the start; the raw, braying vocals come at you with teeth bared; and the top-shelf drum and bass work keep the adrenaline surge of the music in the red zone where it belongs. Good stuff! The next item in this collection is a quartet of songs available on Bandcamp by a Mexican black metal band named Anoxia. 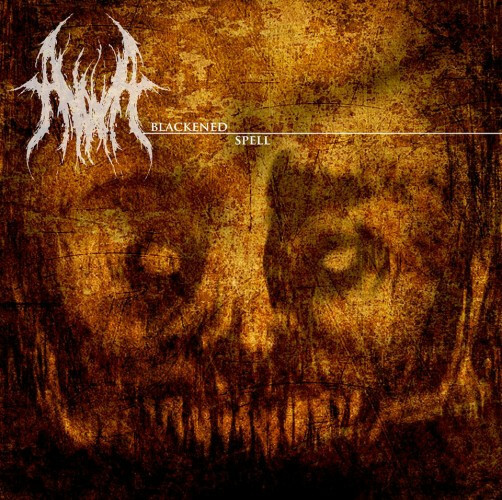 The songs come from their debut album entitled Blackened Spell, which will be released on tape by Locust Amber (UK) and by Concreto Records (Mexico). These four well-written and highly infectious songs are all well worth your time. 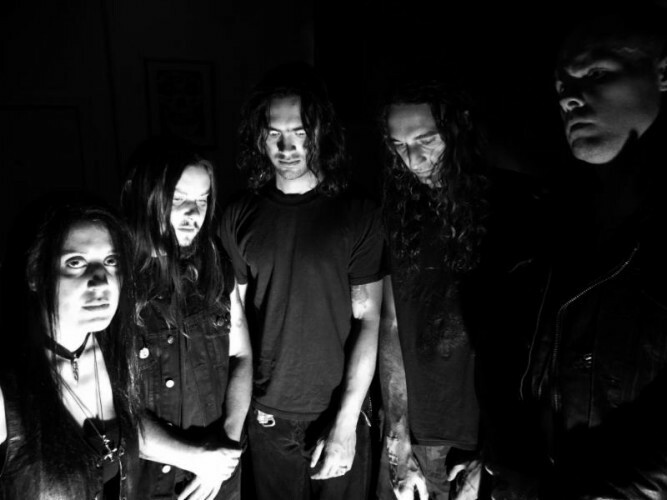 Anoxia are adept not only at spinning webs of memorable, melancholy melody, but also at shifting gears and delivering heavy, hard-rocking riffs that will get your head moving and grim dirges that can sink you into a pit of despair. The ferocious vocals are utterly inflamed and hair-raising in their intensity, and the drumming is also eye-poppingly good — blazing fast and wonderfully dynamic. An exciting new discovery — and now I have to figure out the fastest way to get the whole album. Pretty much my same reaction. I had no idea Vastum was gonna have an album out so soon. These is splendid news!